Black Gracie Zip Hoodie has been added successfully to your wishlist. Garment Details: 80% cotton/ 20% poly, front & back silk screen design, lightweight zip up hoodie. I thought I needed a bigger size but fit perfectly. 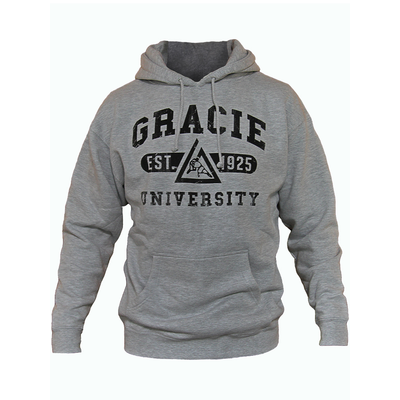 Gracie University Pullover Hoodie View Sale!